The landscape is beautiful, stunning, jaw-dropping… in fact words aren’t good enough to describe the mountains, hills, trees and fells that stretch out for miles before you. We joined a ‘My first fell walk’ from the Bowness-on-Windermere tourist information centre, organised by volunteers from the Lake District National Park. It took us up to Brantfell and rewarded us with spectacular views of Windermere and the surrounding peaks. 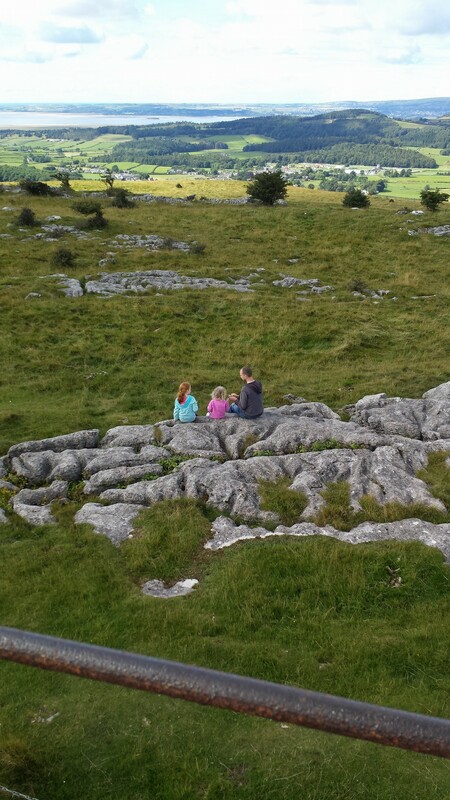 We made the most of our National Trust membership and visited Wray Castle (where we tried archery and followed a tree trail hunt) and Fell Foot Park, where we hired a rowing boat and the girls played on the impressive children’s natural adventure playground. 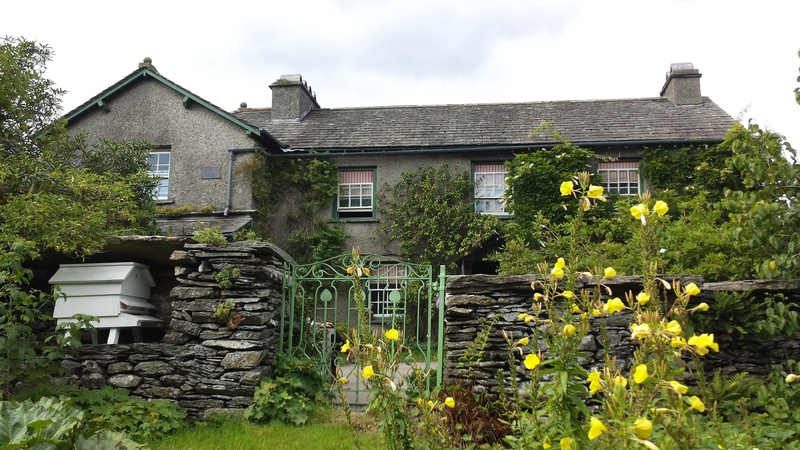 We also went to Beatrix Potter’s house, Hill Top, which she bought in 1905 (it’s now owned by the National Trust). After her marriage to local solicitor William Heelis in 1913, she used Hill Top as a place to write. Although the house is understandably extremely popular with tourists, only a small group is allowed in at a time, and you have the space to walk through the rooms at your own pace. 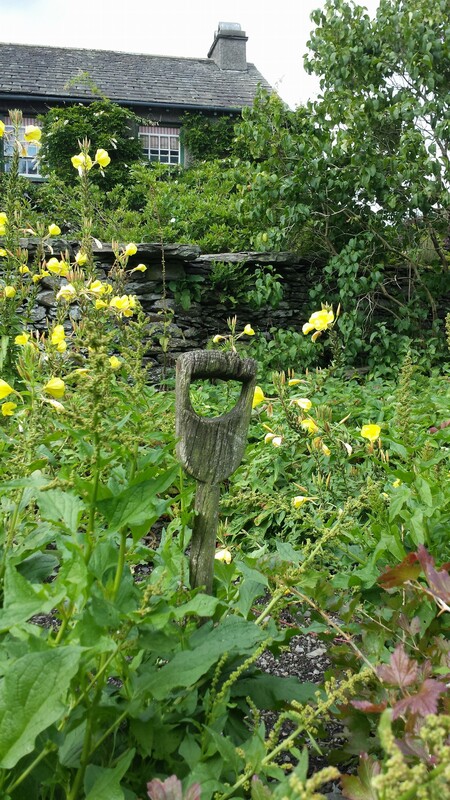 Hill Top is filled with Beatrix Potter’s possessions, and looks just like she could have just popped out to discuss her prize-winning Herdwick sheep with one of her farmers (as well as being a world-famous author and illustrator, Beatrix was also a natural scientist, farmer and conservationist). The people who guided us round the house were delightful – our two girls were each given a copy of The Tale of Samuel Whiskers, which we read sitting on one of the window seats. The ladies showed us views from the window that inspired Miss Potter’s illustrations, and answered our questions about her life and times. You can also wander round the vegetable garden, picturing Mr McGregor chasing Peter Rabbit among the lettuces, or imaging Mrs Tiggywinkle bustling up the path with her basket full of laundry. We took to the water again, this time on Coniston Water, where we boarded a half-lake cruise on the National Trust’s Steam Yacht Gondola. A very civilised way to travel. If you were a fan of the Swallows and Amazons books when you were younger the stories were brought to life before our eyes, as lots of people were messing about in boats large and small. We hiked up to an amazing viewpoint above Grange over Sands, where we could see as far as the Blackpool Tower one way, and up to the Lake District peaks like The Old Man of Coniston and Scafell Pike.